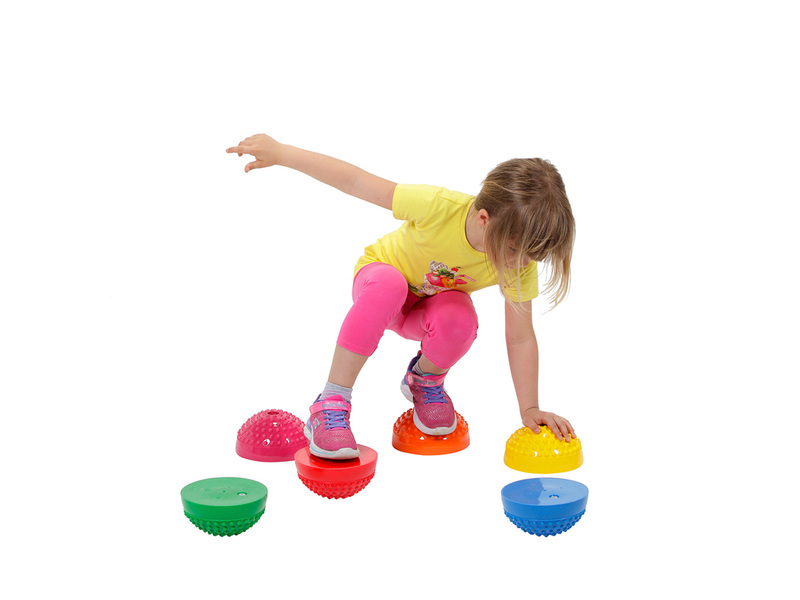 Multiactiv Stones | Gymnic - Ledraplastic S.p.A. 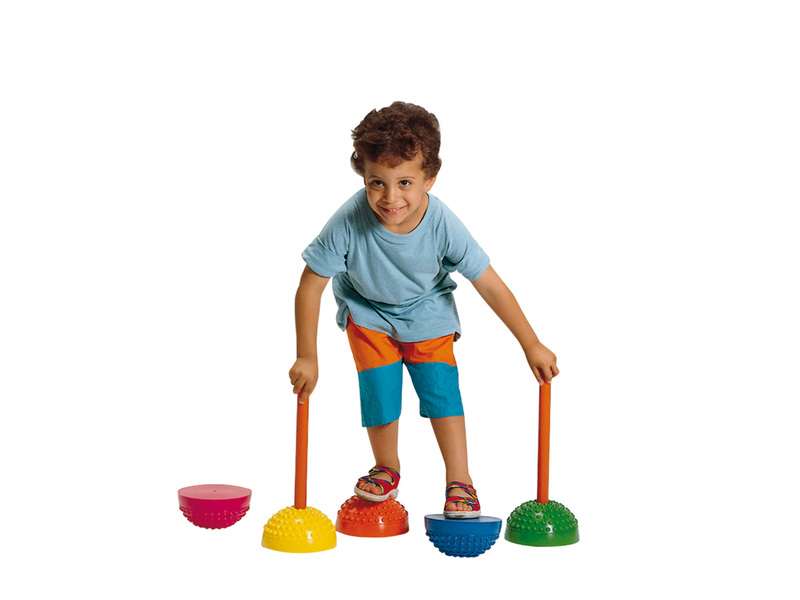 The Multiactiv Stones is a set of six hemispheres with small bumps on their surface. 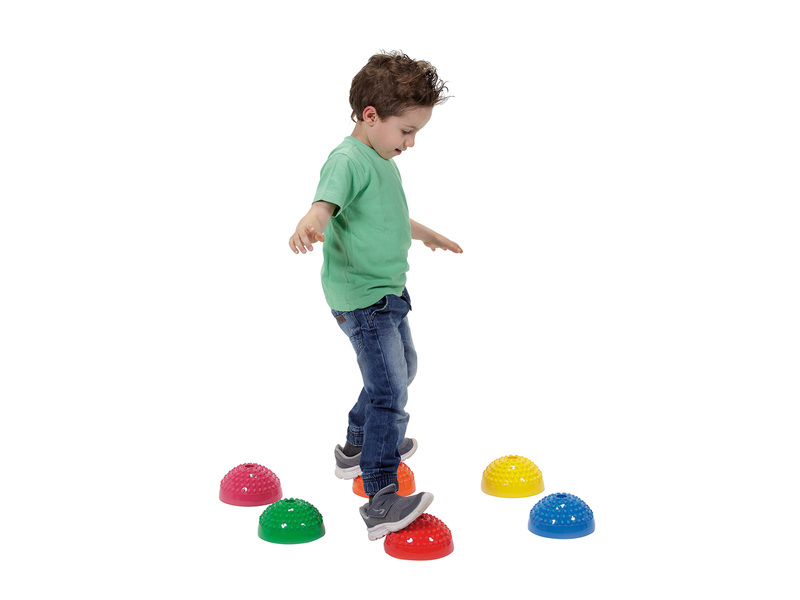 Used as stepping stones, the product is ideal to develop children’s balance and proprioception. 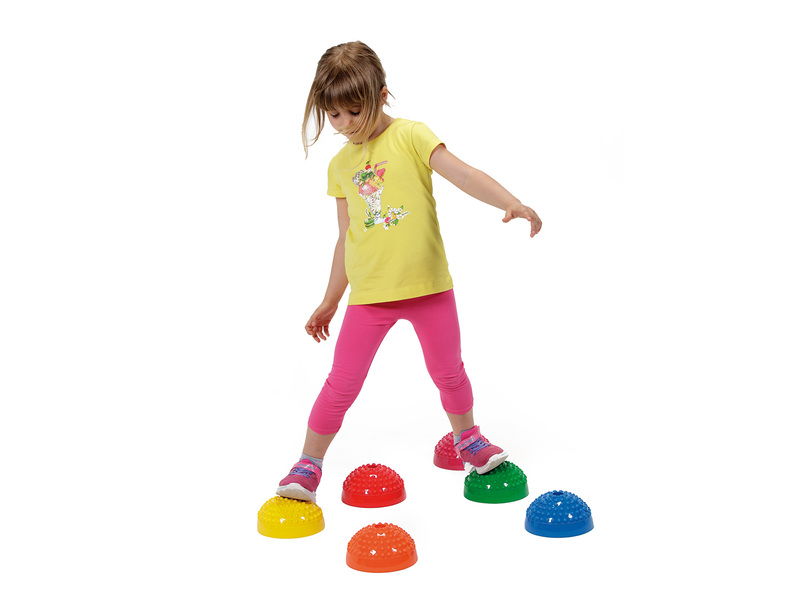 Thanks to the assorted colours, it is perfect to set up balance paths! 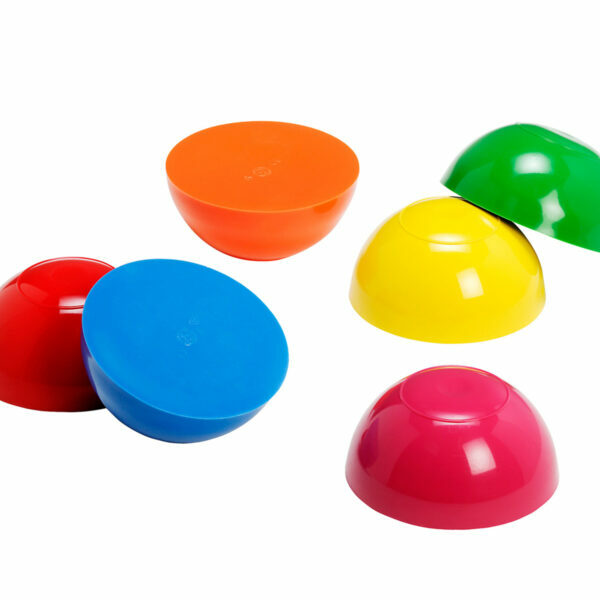 As each stone is equipped with a plug at the base, you can fill the product with water in order to achieve a greater stability. 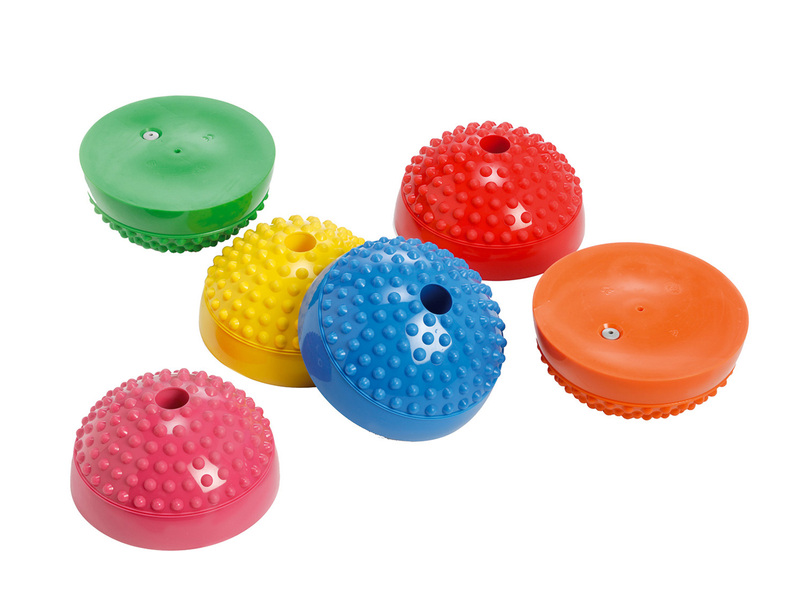 Moreover, you can insert a standard pole (diameter 2.5 cm – 1 in) in the dedicated upper hole for more challenging activities! If you need to make it unstable, use the product upside down. Warning! Choking hazard. The product contains small parts. Not suitable for children under 3 years. Warning! 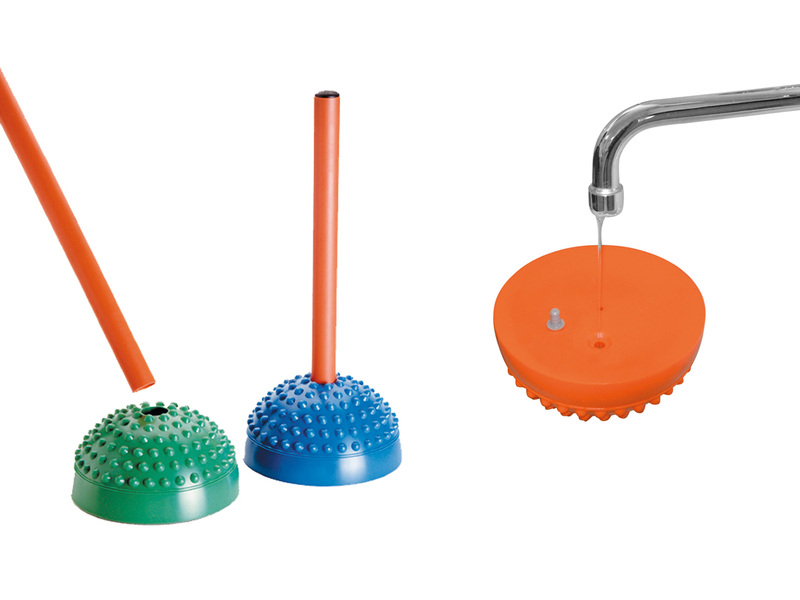 Product assembly and water filling must be performed by an adult. The product is not inflatable. Recommended weight: max. 80 kg (180 lbs) / Tested load capacity: max. 100 kg (220 lbs).